Jane Manchun Wong, a female programmer who plays in the background to find secrets, has discovered that Facebook is developing a Dark Mode interface for Messenger chat application. 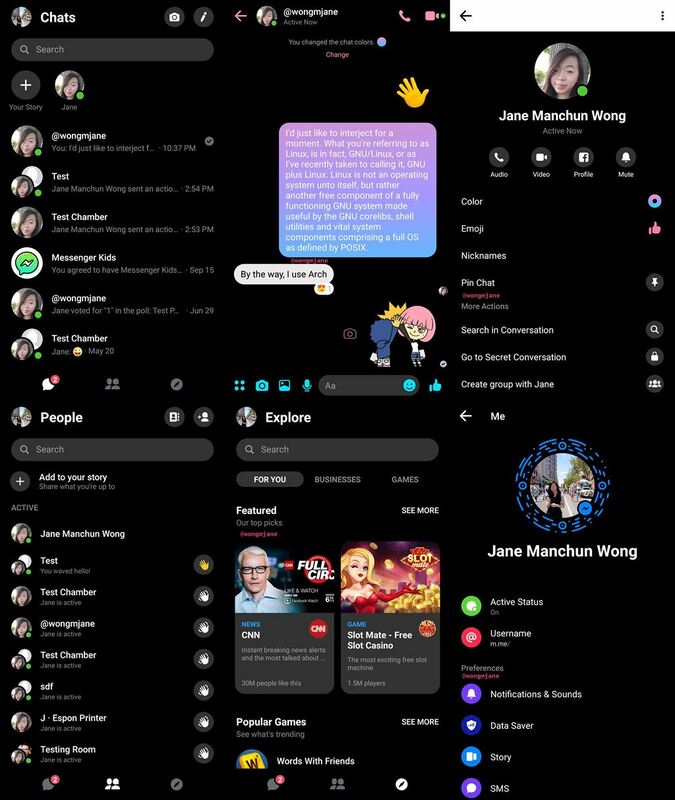 According to Jane Manchun Wong, Dark mode can be activated in the Messenger application’s personal page. A warning will appear when activated, indicating that this feature is still being tested and incomplete. It can be seen that the entire familiar white interface of Messenger has been turned black, while the icons, names and conversation content are turned white. The search bar and some other wallpapers are gray. However, this is only an experiment in some countries on a limited number of users, so don’t be surprised when your Messenger application has not changed.